Within the first 60 days of the date of purchase, an item may be returned for refund or exchange for any reason including if you no longer need the product or changed your mind. To initiate a return you will need to start an RMA by using this link or calling us at 1-866-726-3342, option 1. After the initial 60 days, a defective item can only be exchanged for the same item. The original item must be returned before an exchange can be processed. Defective items are classified as items that mechanically malfunctioned NOT as a result of user error. (User error is classified as damage from the result of the user dropping, spilling, or in some way altering the original state of the product.) Cosmetic issues are not covered as they are not a mechanical component failure. Returned items must be received in their original unaltered condition. We will not accept returns on physically damaged items. *Exception: Opened software can not be returned. A part is returned and is tested to be fully functional, free from defects. The customer could not perform the installation of the ordered part. If the returned part is found to be defective then a refund will be issued for the order. Under no circumstance will international shipping fees or custom fees be reimbursed. When returning an item, be sure to use a carrier that offers insurance and tracking and pack the return sufficiently to protect from damage in shipping. DO NOT RETURN ITEMS IN ENVELOPES. Return only the original item. We are not responsible for parts sent in addition to what is orderered. (example: heat sink on logic boards) We are not liable for damage done in transit back to us. 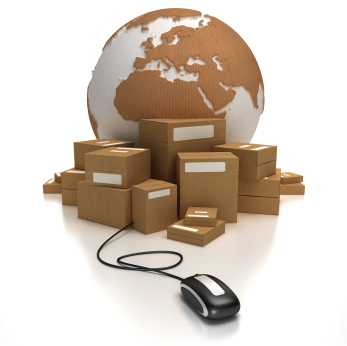 When returning items for exchange, the orignal item must be returned before a replacement can ship. Advanced replacements will not be issued. If a part is received in damaged condition, PowerbookMedic.com must be notified within 7 business days of the receipt of the package in order to file a damage claim on said package. PowerbookMedic.com can not be held responsible for damage to items that is not reported to us within 7 business days of the receipt of the package. Damaged items must be reported to us prior to installation. If any items are missing from a shipment, PowerbookMedic.com must be notified within 48 hours of receipt of the package. If an item is received damaged ALL packaging must be kept with the item. Without the packaging we will not be able to file a claim or replace or repair the goods. Any damage to a component containing glass must be communicated to us within 7 days of receiving the damaged product. Any product that has a glass component that is broken outside of this 7 days will be considered broken due to "user error" and will not be covered under warranty. If one item from a buy together and save deal is returned but not the other item, the amount discounted for the buy together and save deal will be subtracted from the refund of the one item returned. LCDs purchased from PowerbookMedic.com that have one dead pixel are not warrantied under manufacturer defect. Should the customer want a replacement LCD for a one pixel anomaly, an exchange will be arranged, however no shipping charges will be reimbursed. Two or more dead pixels will be considered as manufacturer defect. All returns must be assigned an RMA # before they can be accepted. Parts received without an RMA# will be refused. Our RMA department will contact you within 24 hours of completing the form above . Once you receive an RMA# from us, ship the item to the address below. Returns without an RMA # will be refused.